Der Artikel The Deep Blue Sea wurde in den Warenkorb gelegt. 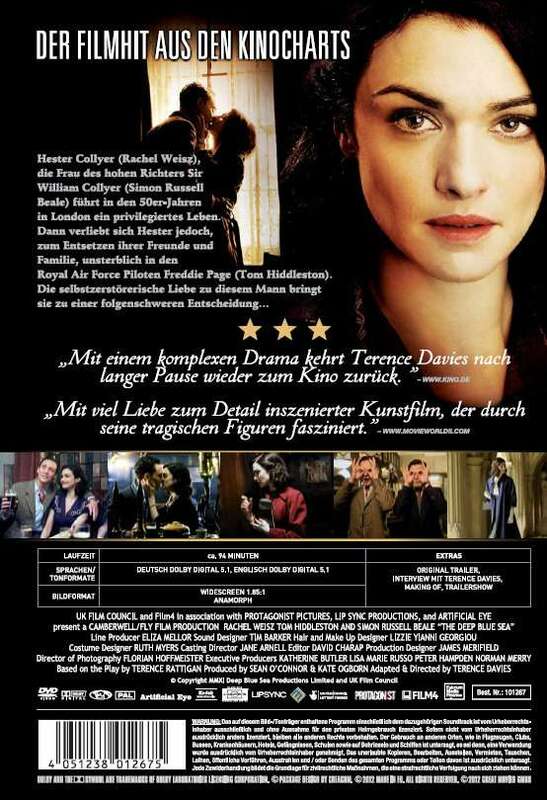 Drama based on the Terence Rattigan play, starring Rachel Weisz as a woman who leaves her husband and a socially prosperous life to pursue a love affair with a pilot. Hester Collyer (Weisz) is married to a judge, William (Simon Russell Beale), and enjoys all the material comfort and social privilege that goes with such a role in 1950s England. However, when she meets Freddie Page (Tom Hiddleston), a dashing young RAF pilot, Hester's world is turned upside down. She falls in love with Freddie and leaves her husband and her comfortable, if unexciting, life behind for him. Will Freddie prove himself worthy of such devotion?